About Microsoft SharePoint 2013 : What Are Web Parts? Web parts are the building blocks of pages in SharePoint. They are components that show data, and they can be placed in certain regions of a page—known as web part zones, or as part of text in certain page editing controls. A page can hold many web parts, in different zones or in the same zone, or as part of a piece of text. They may be one under another in some zones and side by side in other zones, and text may flow around them or be separated by them. For example, to show on the home page of a site the contents of a list of links, you can use a web part that displays the content of a list. FIGURE 1 Different web parts on a page. SharePoint developers can develop web parts, and the data and functionality that web parts offer to visitors of a SharePoint site is limited only by what develops can create. 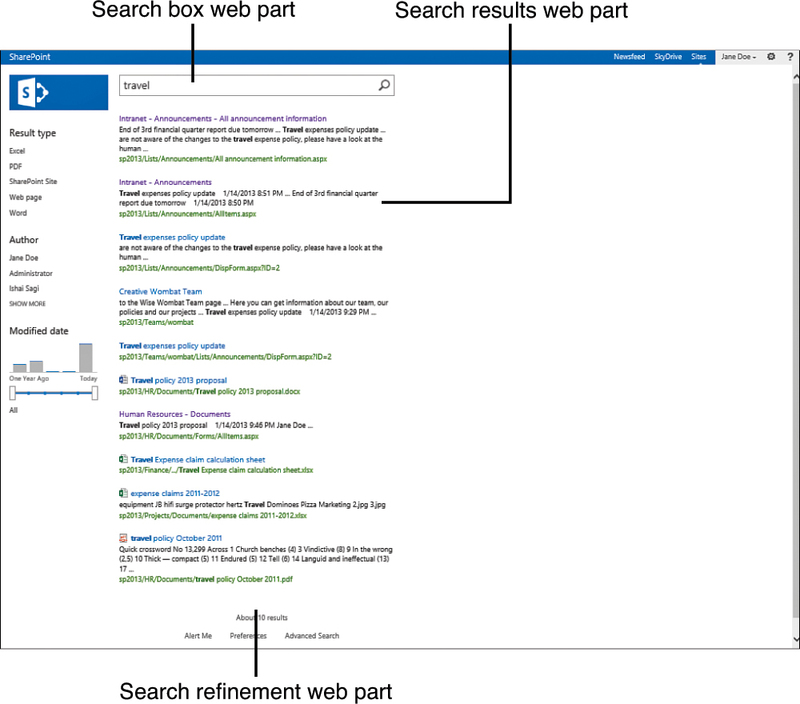 FIGURE 2 Search-related web parts. Although web parts are a part of SharePoint, they can show information that is from outside SharePoint. For example, a special web part may be developed to show information from a corporate application for timesheets or project management. The web part may even offer interaction with the data, allowing users to modify data in the corporate application. In this case, the data itself is not in SharePoint. However, such web parts usually have to be developed, and most of the web parts that come with SharePoint out of the box are used to display data that is stored in SharePoint. 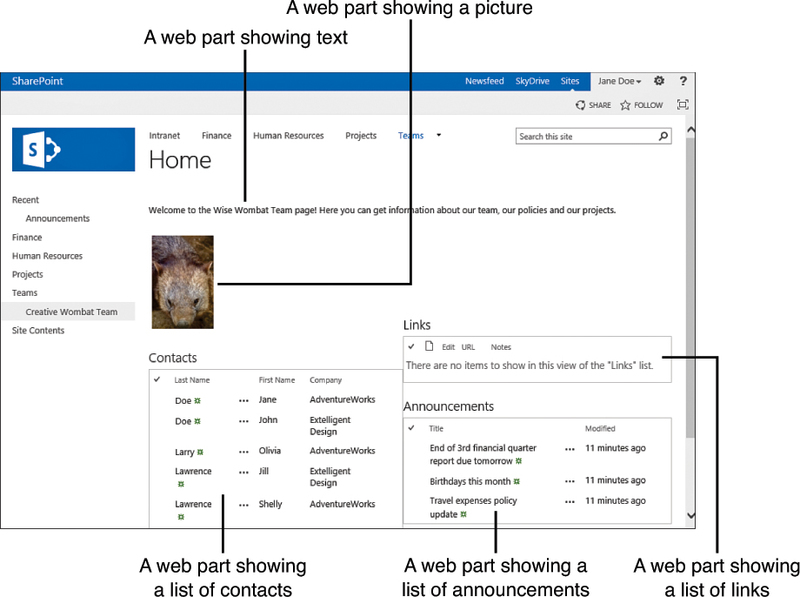 Although web parts might be important building blocks for a SharePoint page, other components also make the pages what they are. Not everything you see on a SharePoint page is a web part, but identifying web parts is usually easy—especially if you have the permissions to edit a page, in which case the page editor shows you the web parts that are on the page, with options to remove them, move them around, and add additional ones. - About Microsoft SharePoint 2013 : What Is a Personal Site? - About Microsoft SharePoint 2013 : What Is a Site?